This is a sponsored post on behalf of Pure Body Naturals. All thoughts and opinions are those of our own. Dead Sea Mud Mask - $18.95 30% Off with Code BBSEAMUD Free Shipping with Prime. 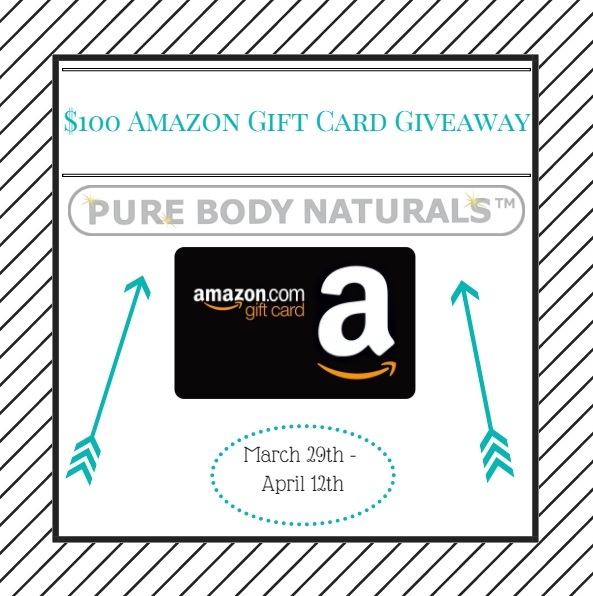 One lucky winner will receive the $100 Amazon Gift Card mentioned above! Disclosure: This blog was compensated for this posting. The sponsor, Pure Body Naturals is responsible for prize shipment. This giveaway is in no way associated or affiliated with any social media outlets. This post may contain affiliate links. Step into Spring with Lugz classic canvas shoes!